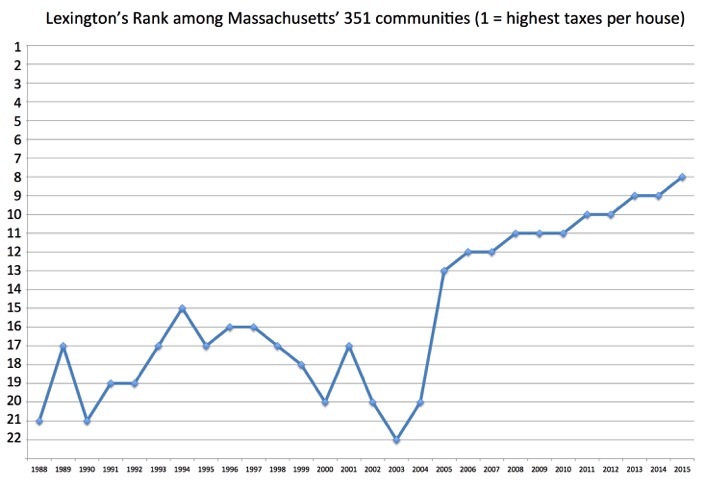 During 1988-2004, Lexington’s taxes per average single-family house ranked 15th to 22nd among Massachusetts’ 351 cities and towns ranked from highest to lowest taxes. 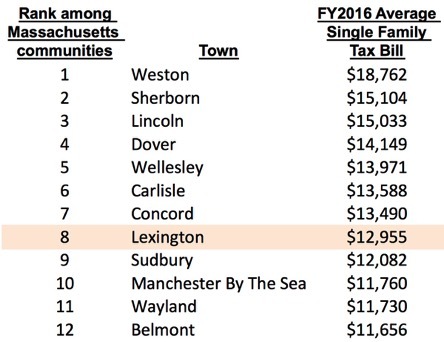 --• how rapidly does the town increase expenses (via operating overrides and debt exclusions, which raise taxes beyond the Prop 2 1/2 limit). To disentangle these 2 factors, we created a typical “unimproved” Lexington house, a mid-size house that remained the same over a long period of time, without new floors or rooms. 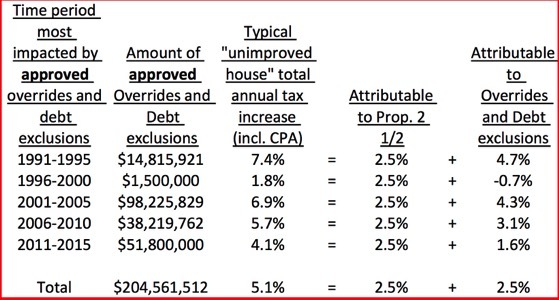 Operating overrides and debt exclusions have over time added another +2.5% in annual tax increase beyond the Prop 2 1/2 limit. All calculations are in this spreadsheet, in 5 tabs.